Free Shipping Included! SET of 2 - Black and Walnut Finish Industrial Style Adjustable Metal Swivel Counter Height Bar Stools by eHomeProducts at RVTE. Hurry! Limited time offer. Offer valid only while supplies last. 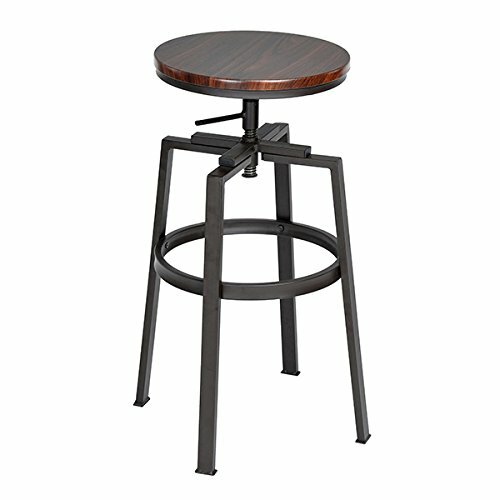 This Black and Walnut Finish Industrial Style Adjustable Metal Swivel Counter Height Bar Stools is a great addition to your Kitchen, Bar, Game room.